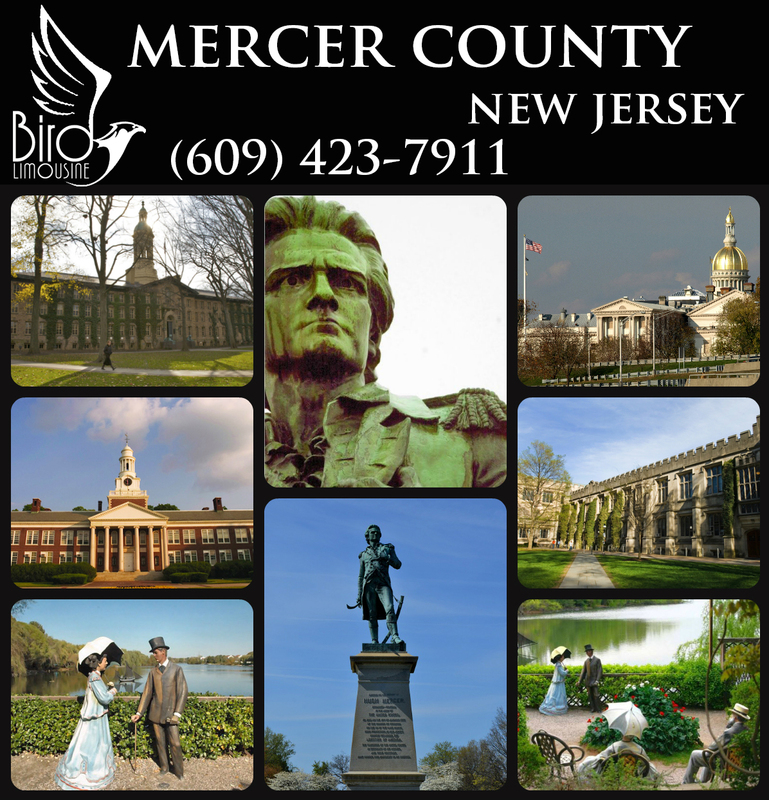 Mercer County, New Jersey is located halfway between New York City and Philadelphia, directly in the center of the State of New Jersey. Home to more than 360,000 people, Mercer County is home to 10% of the US population. 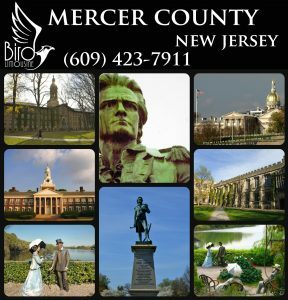 Mercer County was formed into a county from surrounding areas in February 1838, this county has come a long way in terms of growth and success. Aside from the many entertaining things to do and see lies a studious college community bustling with young people eager to learn. Home to Princeton University, Rider University, and other great colleges, Mercer County is home to some of the smartest minds in America. It is also home to some of the wealthiest citizens in America. It was also home to some of the smartest minds in America – people such as Albert Einstein called Mercer County home. The county was formed by an act of the New Jersey Legislature on February 22, 1838, from portions of Burlington County, Hunterdon County, and Middlesex County. It was named for Continental Army General Hugh Mercer, who died as a result of wounds received at the Battle of Princeton on January 3, 1777. Mercer was born near Rosehearty, Aberdeenshire, Scotland, to Church of Scotland minister Reverend William Mercer of Pitsligo Parish Kirk and Ann Monro. At 15, he attended the University of Aberdeen, Marischal College, studying medicine and graduated a Doctor. He was an assistant surgeon in the army of Bonnie Prince Charlie in 1745 and was present at the Battle of Culloden when Charles’ army was crushed on 16 April 1746, and many survivors were hunted down and killed. As a fugitive in his own homeland in 1747, Mercer fled Scotland after months in hiding. He bought his way onto a ship and moved to America, settling near what is now Mercersburg, Pennsylvania, and practiced medicine for eight years. In 1755, when General Edward Braddock’s army was cut down by the French and Indians during the first British attempt to take Fort Duquesne, Mercer was shocked by the same butchery he remembered at Culloden. He came to the aid of the wounded and eventually took up arms in support of the army that a few years prior had hunted him, this time as a soldier, not a surgeon. By 1756, he was commissioned a captain in a Pennsylvania regiment and accompanied Lt. Col. John Armstrong’s expedition on the raid of the Indian village of Kittanning in September 1756. During the attack, Mercer was badly wounded and separated from his unit. He trekked 100 miles through the woods for fourteen days, injured and with no supplies, until he found his way back to Fort Shirley, where he was recognized and promoted. He rose to the rank of colonel and commanded garrisons. It was during this period that Mercer developed a lifelong and warm friendship with another colonel, George Washington. In 1786, after General Washington ensured that Trenton would not be the national capital and before Washington, D.C. was created, a petition was circulated around among the leaders of Burlington and Hunterdon townships. The petition called for the creation of the City of Trenton. Unlike its original hamlet configuration, the City of Trenton would not be allowed to act as its cousins of the time, creating the necessary government and community atmospheres of the cities of the 18th century. This petition failed, but a compromise struck in the political manner of the day did create the Borough of South Trenton. This new borough cut between Hunterdon and Burlington and made for interesting political discontent. Unhappy with the 50-year-old system of the 13 original New Jersey counties, the state legislature saw the new Borough as the starting point of a new county – one that would balance the power of the more northern Hudson County, while still enabling the southern counties a powerful voice in the state legislature. In 1838, twenty-three years before the Civil War, the New Jersey state legislature decided to redraw its county lines. Increasing the colonial 13 counties to a more modern 15 counties balanced the political powers of the day. Unhappy with the odd number of representatives in the county system, the state legislature created Mercer County. The new county, which encompassed Princeton and Trenton, was carved out of parts of Hunterdon, Burlington, Middlesex, and Somerset counties. This was the birth of modern-day Mercer County.